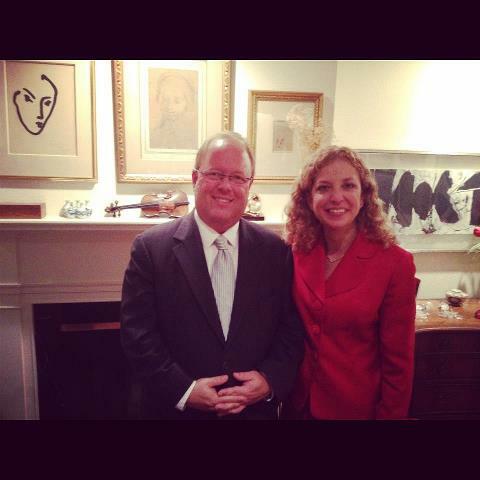 On January 30th, Democratic National Committee Chairwoman (and Florida Congresswoman) Debbie Wasserman Schultz visited Sarasota. Chairwoman Wasserman Schultz focused on the President’s commitment to Israel. From the outset of his administration, President Obama has been committed to maintaining the special relationship between the two countries, and to working with our Israeli allies and the Arab world on solutions to the Israeli-Palestinian conflict. Wasserman Schultz spoke about the strong bond between the two nations and highlighted President Obama’s efforts to strengthen that relationship. Israel continues to be the largest recipient of U.S. Foreign Military Finance Program funds for military training and equipment. In 2010, the administration sent $2.775 billion (the largest amount ever) in security assistance funding to Israel, and increased that amount to $3 billion in 2011. After speaking on Israel, Wasserman Schultz’s second stop was a fundraiser in support of Congressional candidate Keith Fitzgerald. National party leaders have tapped Sarasota Democrat Keith Fitzgerald as one of their best bets to beat an incumbent in the 2012 election, which is sure to keep a spotlight on our area that goes beyond our role as a presidential battleground.